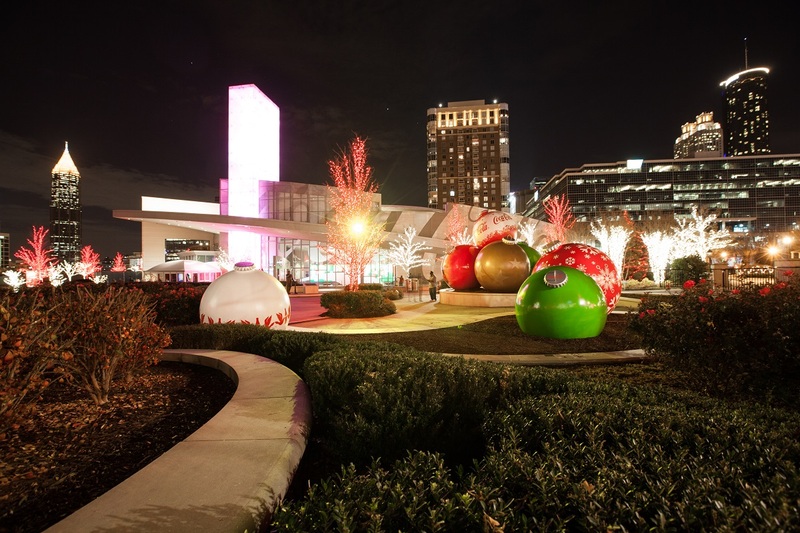 Downtown Atlanta’s Centennial Park District is offering holiday programming to delight visitors and residents of all ages. Guests to the neighborhood can enjoy a variety of festivities at some of the southeast’s most beloved attractions, from Georgia Aquarium to World of Coca-Cola. After soaking up the holiday cheer, visitors can stroll around the District to enjoy the many restaurants, hotels and entertainment venues, all within walking distance of one another. November 18-December 31: Festival of the SEAsons transforms Georgia Aquarium’s plaza, galleries and exhibits into a winter wonderland! (Free with admission). December 4: Toddler Time is a holiday-themed, 90-minute 'dip' into the Aquarium, an experience intended for children ages 0-3. December 13: Kick off College Bowl Season at College Football Day in the Atrium, featuring corn hold and other classic tailgating games. December 16: Enjoy a holiday craft, breakfast, and quality time with jolly ol' St. Nick at the Breakfast with Santa program. New Year’s Eve: Sips Under the Sea celebration to ring in 2018 (21+, Price starts at $124.95). Month of December: Celebrate holidays from around the world during this month of special programming for kids, plus Sockefeller Plaza, a sock-only skating rink! December 31: Countdown to 2018 with a New Year’s Eve Bubble Bash party for kids, featuring a DJ & dance party, noise-makers, and more. Tickets required. Stay #TrueToAtlanta: the second half of the season’s tickets are now on sale! December events at Philips Arena include Katy Perry, Jingle Ball, V-103 Winterfest, and Janet Jackson. November 17-January 2: This cheerful local landmark makes the holidays sparkle with special exhibits, seasonal beverages, photo opps and VIP tours. Be sure to snap a few pictures with the life-sized ornaments that dot the Pemberton Place lawn! November-December: Enjoy a 90-minute guided tour of the Centennial Park District. Visitors can escape the cold while learning more about the history of the District’s attractions. Saturdays: Enjoy Tailgate Saturdays Built by The Home Depot. Watch college football games all day and enjoy concessions, scavenger hunts, and more. December 16-January 2: Celebrate the most wonderful time of the year at “Deck the Hall” with treats, decorations and activities, including appearances by Fumbles the Elf and Santa. December 31: The Hall will honor its newest class on New Year's Eve at the College Football Hall of Fame Salute to the 2017 Class. Visit cfbhall.com for full details. Be sure to take festive photos of your District adventures and share them on Instagram using hashtag #AtlantaCPD!